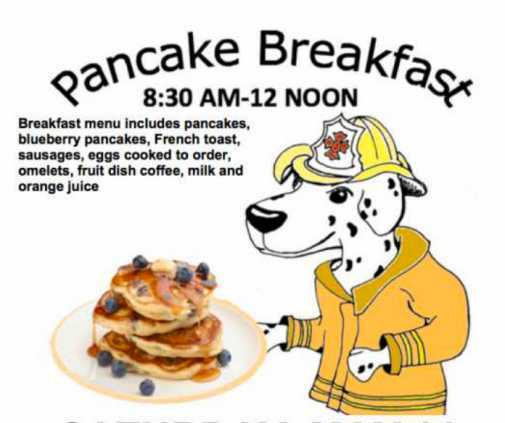 French Toast and Pancake Breakfast fundraiser for Sherman Township (Gay) Volunteer Fire Department will be served on Saturday, May 11, from 8:30AM-12 NOON at the Sherman Township Community Hall in Gay. Children 6 to 14 $4.00, under 6 free. Breakfast includes French toast, pancakes, eggs to order including omelets, fresh fruit, sausages, coffee, milk, orange juice. All funds will be used to help finance firefighting operations.